Even in the most ancient times, people have tried myself something to decorate, transform your look to stand out from the crowd. Already a very, very long time people started to use the so-called makeup and jewelry. And not the first country to come to this man, and only later borrowed this woman. Previously, it was decided shamans wear necklaces, earrings, painted in various bright colors. Jewelry made from the material at hand: stones, sticks and the like. Even in more recent times, people began to make jewelry specifically, inserting all sorts of stones jewelry work. As is known, each stone has its own energy, is their quality. Magicians and sorcerers of the ring produced to order, especially for rituals, they believed that it helps them to communicate with the spirits and perform magical acts. In our time, there was a very large amount of jewelry stores. Already many have acquired their fame, and to make products on the order are almost no sense. However, there are minerals which are difficult to find in the store. Which is mined and where few that have a greater effect. One of these - a shungit. It helps to treat diseases, purify the water, and is well used for prophylaxis. His book in various geometric forms, both for treatment and just for beauty. But especially benefit it brings to those who wear it constantly with him. 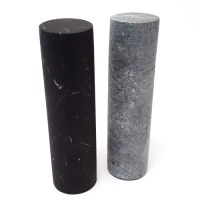 It is very easy to do, because on our site you can order from shungite jewelry of any kind from a ringlet to the bracelet and so on. These ornaments are not just will you decorate, but will give health and good mood every day. You, unlike the rest of the people, every day you wait with joy, because he will be filled with only joyful events. You will reign marital happiness will be career success. This will be a wonderful gift if you want to please the family. It is not only beautiful. But also useful. 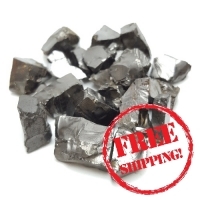 Order shungite jewelery has now become very easy, you only need to visit the site and choose the right product. I've got the earrings of shungite this morning! They are really amazing, it made my day! 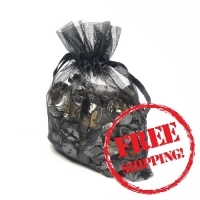 I believe in magical power of stones, that's why I ordered shungite earrings from Karelian Shungite Factory. The cost is rather cheap so everyone can afford such accessories, and it is absolutely worth buying - strong energy, healing effect and nice view! I do recommend! 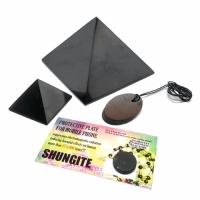 I bought shungite accessories for my wife and she looks fantastic wearing it! Best recommendations!